Why do i need to register to play at Lottoland? When you register, we will create a unique player account for you. This account contains important information on how we may contact you, especially in case of a win. It also allows us to comply with state regulations. You may only have one account at Lottoland. What does the Account Status mean? If you find that you are spending too much time here at Lottoland, you can voluntarily block your account. But beware: if you block your account (self-exclusion), the earliest that it can be unblocked is in six months! Why should I link my account to Facebook? If you connect your Lottoland account to your Facebook account, you can make use of your Facebook credentials to log into Lottoland. The process is 100% safe, and you don't have to remember an additional password. Additionally, we run special promotions for our players on Facebook as well! Which Notification Level is best suited to me? Your Notification Level determines how much information Lottoland will send you on a regular basis. We will of course always inform you about any winnings, but we would also like to send you tips from time to time to help you in your quest for jackpots and bigger payouts. Moderate play is the key to long-term enjoyment of lotteries. Scientific studies have shown that compared to other games of chance, lotteries do not show a significant potential for addiction. Nonetheless, at Lottoland, you always have the option of suspending your account to limit your playing. If you choose to self-exclude your account, it will remain suspended for a minimum period of six months. Can I re-activate my player account, after deleting it? No, a deleted account cannot be resurrected. We preserve records of previous activity and payouts for some time for legal reasons, but we cannot restore this information into a deleted account. 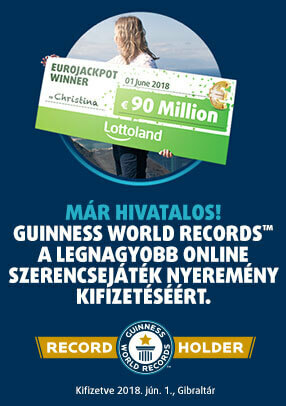 You may of course always register a new account if you would like to resume your hunt for bigger jackpots at Lottoland!